This was the first part of my birthday celebration. Not all my friends could make it to my birthday dinner so I planned on having another dinner for them. Our plan was to find another restaurant downtown so we could eat something different but my cousin who was in town for a week was flying back home to Philippines on the same day. He couldn't go farther so we decided to go to a nearest restaurant. Since my cousins hadn't tasted Chinese food at the restaurant where my sister celebrated her birthday in February, I suggested we go Chinese. My decision to let them have Chinese food did not disappoint. All of them liked the dishes we ordered. Not one single plate had leftovers in them. 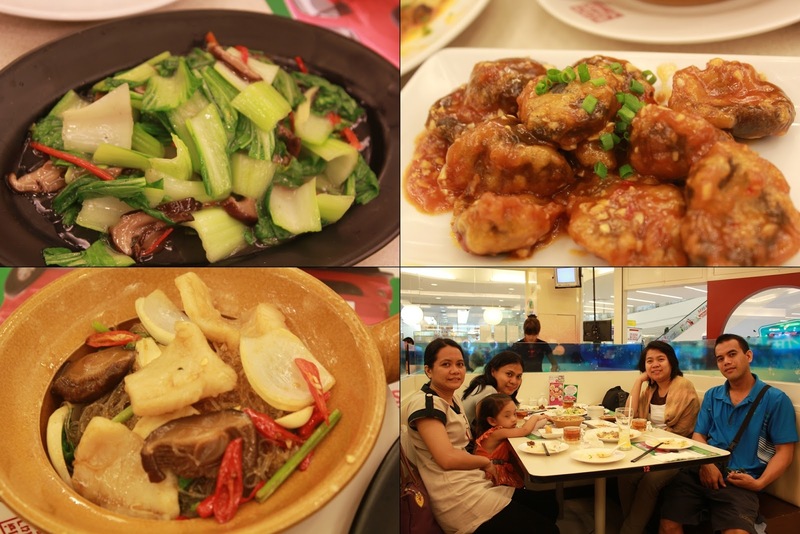 Clockwise: Battered mushroom in sweet and spicy sauce, my family, glass noodle and stir fried Chinese cabbage with mushroom.